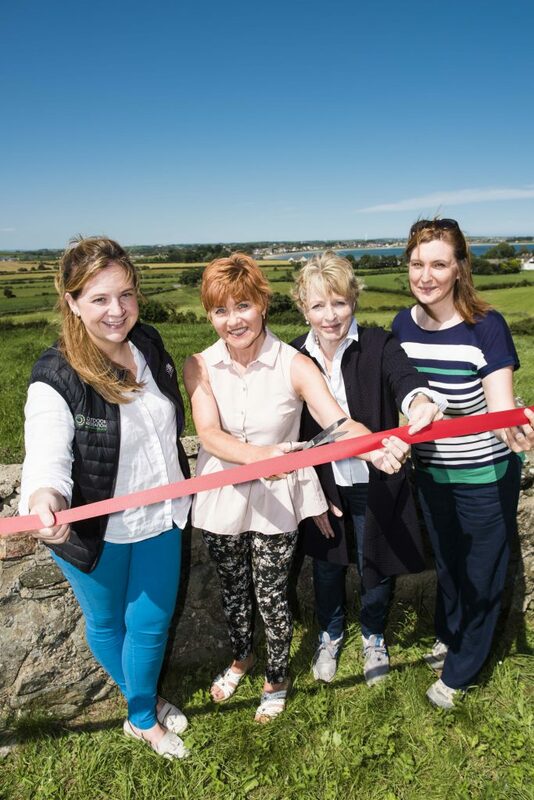 A new community trail has been officially launched to formalise public access to Slans Graveyard and its incredible panoramic views overlooking Cloughey, the surrounding countryside and coastline. 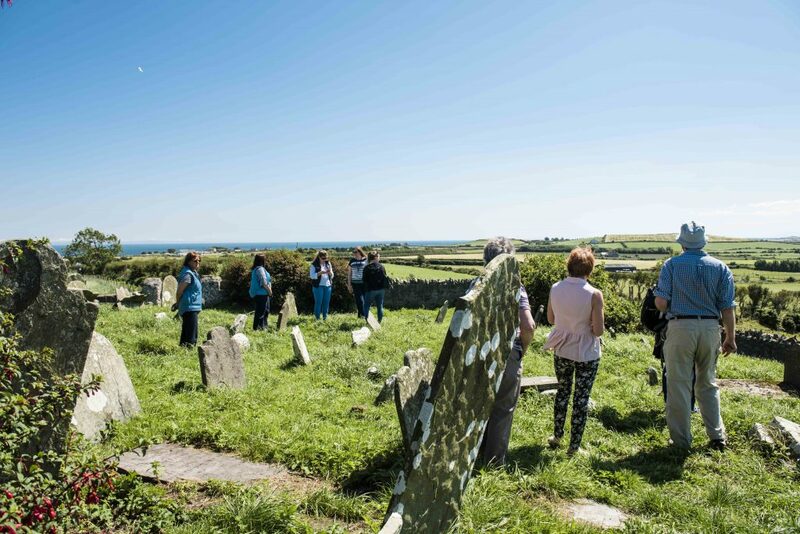 A scheduled monument dating back to the first millennium AD, at one time Slans was the main graveyard for the Cloughey and Kirkistown area and the burial place for many sailors who lost their lives in the waters around the notorious North and South Rocks off Cloughey. A collaborative effort, made possible through a variety of organisations and the goodwill of private landowners, Outdoor Recreation Northern Ireland (ORNI) delivered the project working in partnership with Peninsula Healthy Living Partnership, Ards and North Down Borough Council, Cloughey and District Community Association, Strangford Lough and Lecale Partnership and the Department for Communities Heritage Environment Division. Peninsula Healthy Living Partnership; a voluntary, community based organisation with a passion for promoting healthy lifestyles part funded the project in conjunction with the Northern Ireland Environment Agency Challenge Fund and Ards and North Down Borough Council. Sheila Bailie, Peninsula Healthy Living Manager cuts the ribbon for the official opening of the new community trail at Slans Graveyard. 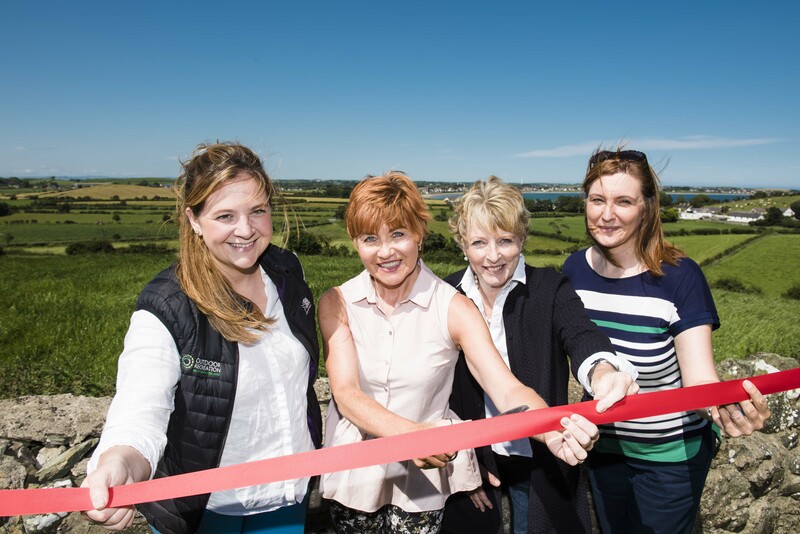 “We hope this will be the first step in a bigger vision of joint projects between Ards and North Down Borough Council and ORNI to provide even more community trails to get people outside and active, enhancing both physical and mental health.” Jenny continued. The 180m trail begins from the Ardminnan Road with access over an existing stone style and travels up the side of a field between the hedge and new fence line to Slans Graveyard where walkers can explore the historic site and learn of its fascinating history through a new interpretation panel.